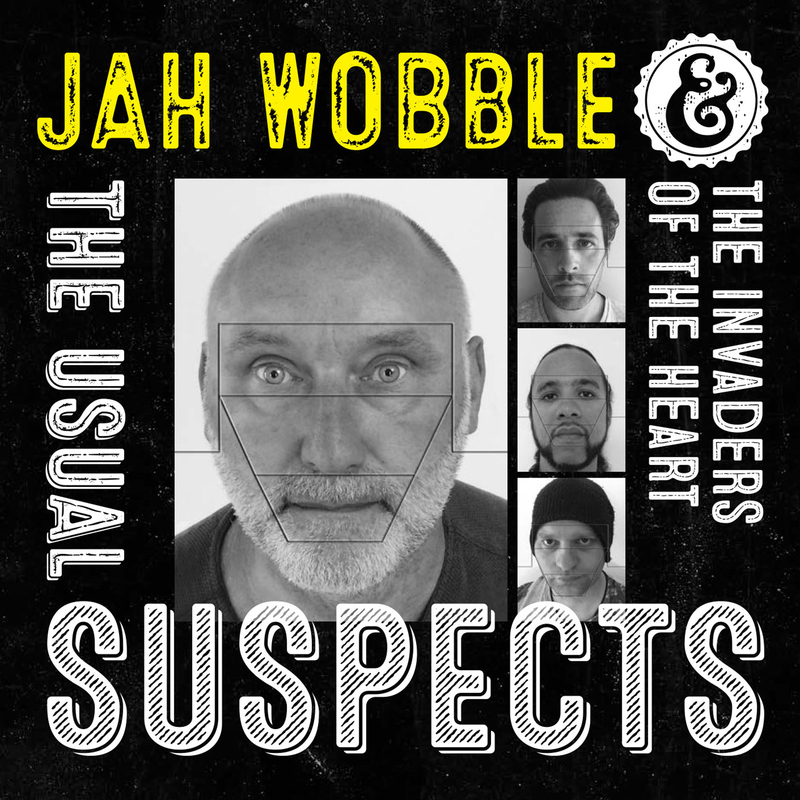 Jah Wobble & The Invaders Of The Heart are set to release a new album on 3Ms Music on the 30th of June 2017. ‘The Usual Suspects’ features brand new recordings of some of Jah Wobble’s finest solo, Invaders Of The Heart and Public Image Limited output from an incredible and genre bursting career that spans nearly forty years. Released on limited double vinyl, CD and available digitally, the twenty three tracks here were recorded over the last few months at The Smokehouse studios in East London and include the lead single and album opener ‘Public Image’, re-worked from PIL’s ground breaking debut album from 1978. Other highlights include versions of cinematic scores ‘Midnight Cowboy’ and ‘Get Carter’, Dawn Penn’s ‘You Don’t Love Me (No, No, No)’ that features the vocals of Aurora Dawn and a new take of ‘Visions Of You’ which originally appeared on Wobble’s Invaders of The Heart album ‘Rising Above Bedlam’ which was nominated for a Mercury Prize on it’s release in 1992. Also included are two recent live recordings of the classic rocksteady standard ‘Liquidator’ and ‘Poptones’, which originally appeared on PIL’s seminal ‘Metal Box’ record. The idea to record this collection came about after a recent and successful run of live shows which saw Wobble and his band play a selection of songs spanning the innovative bassist, percussionist and singer’s long career. He went straight into the studio with Marc Layton-Bennett (drums, percussion & backing vocals), Martin Chung (guitars), George King (keyboards & backing vocals), Steve Rigby (beats, programming & backing vocals), Sean Corby (trumpet & flugelhorn), Aurora Dawn (vocals) and Holly Macve (backing vocals) and set about recording the tracks that appear here.